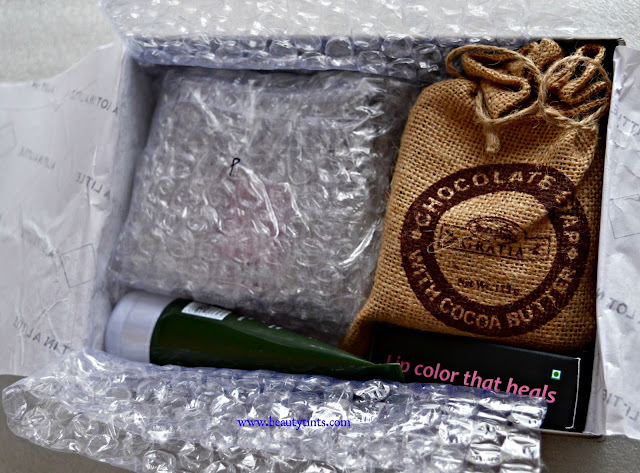 Sriz Beauty Blog: MSM Express Box August Edition Review!!! 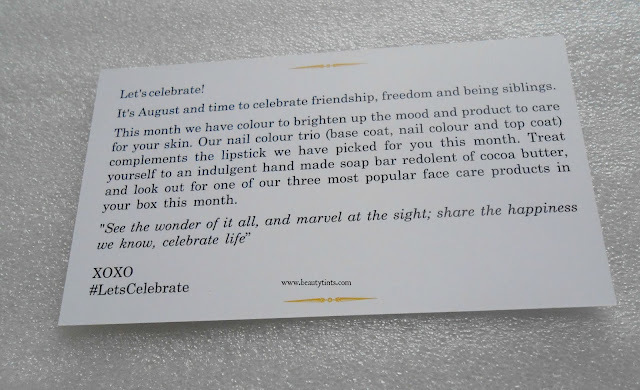 Today evening I received the MSM Express Box August Edition and I am happy that I received it very early and this month's theme is #LetsCelebrate !!! Contents of the August Box : The express Box comes in a pretty pink colored box.Inside of which there are information cards about the products which we received.Underneath them are the products for that particular month. Here are the set of products which I received in this August Month Box.I have received 4 products in which all are full sized. 1) Nelf Trio : This Trio consists of a base coat,Nail Paint and Top coat.I loved this trio to the core and I got the nail paint in the shade 'Vintage Rose',which is a bright fuschia colored one. 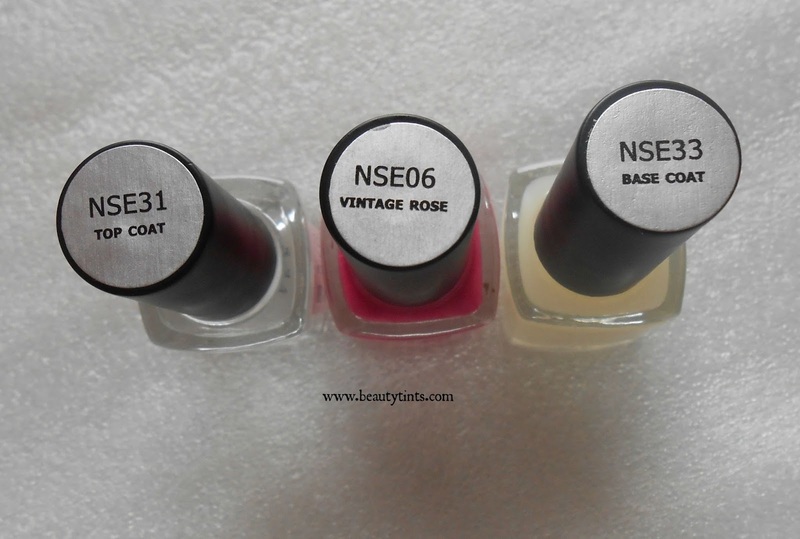 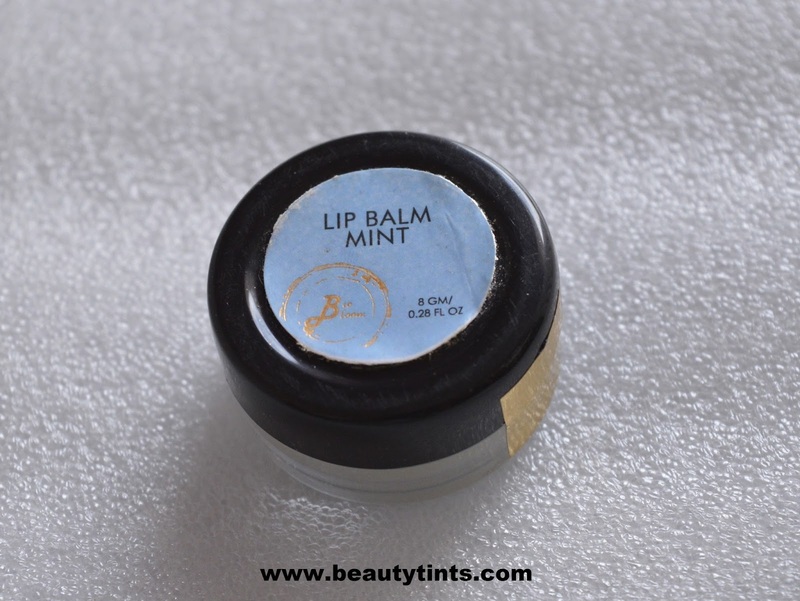 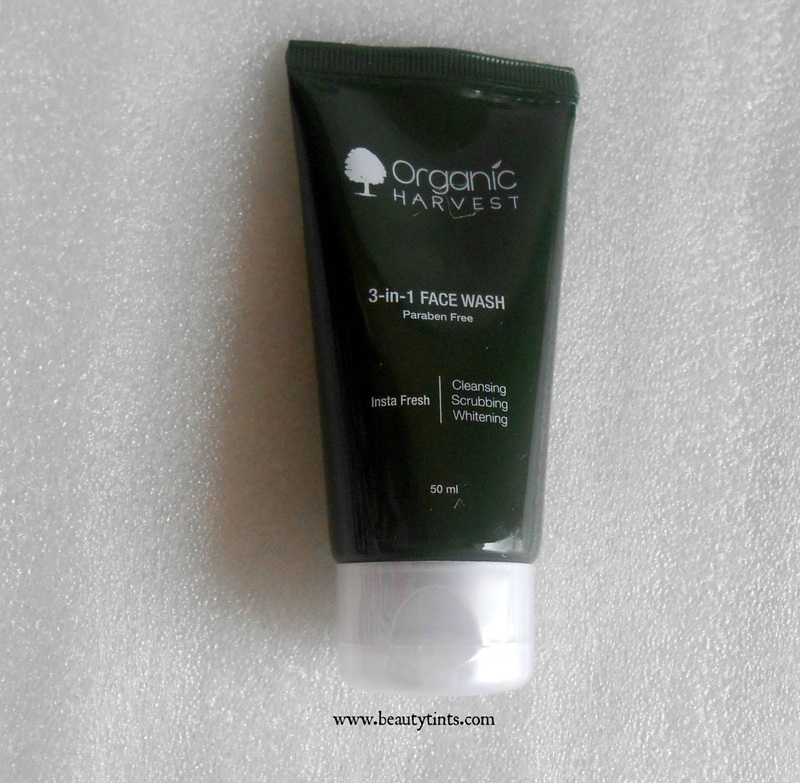 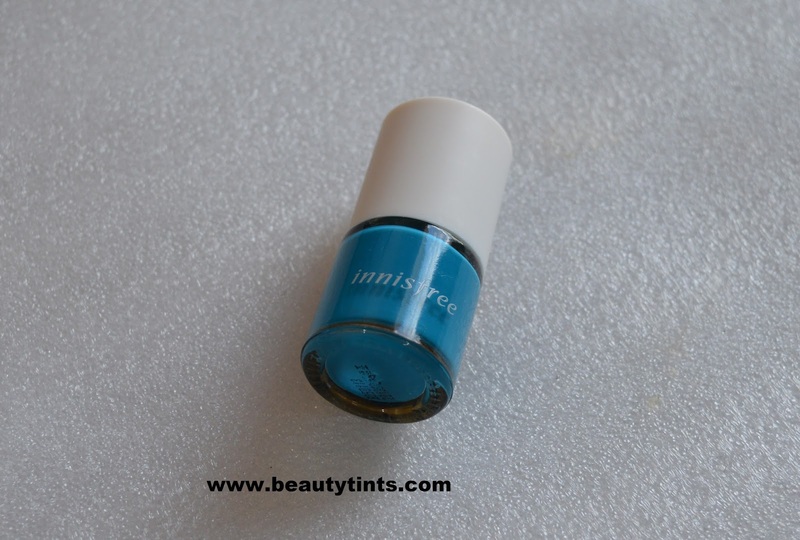 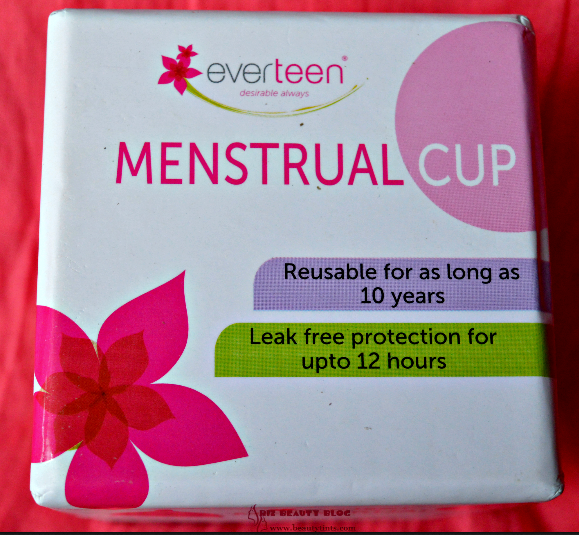 This trio is priced at INR 297 (99 X 3). 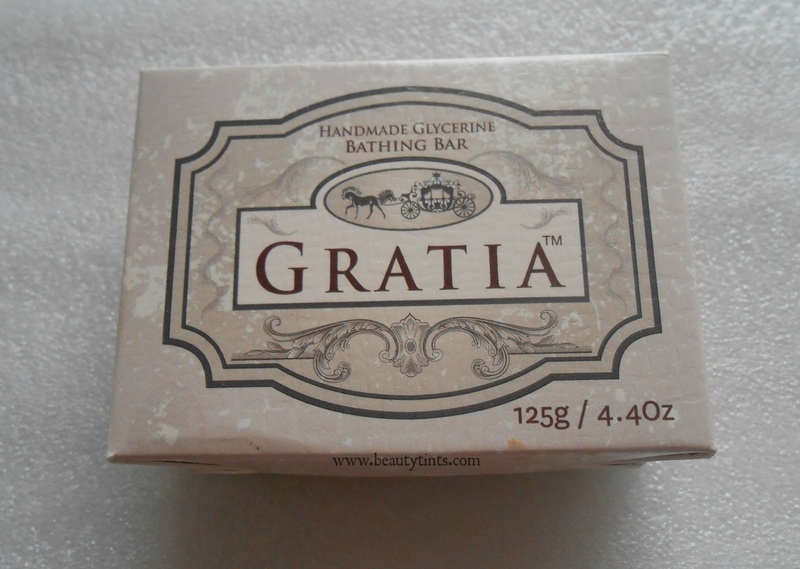 2) Gratia Handmade Glycerin Bathing Bar : This is a chocolate soap with cocoa butter.It comes in a eco-friendly jute bag.I haven't opened it yet,but super excited to try it.It is priced at INR 95/- for 125 gm. 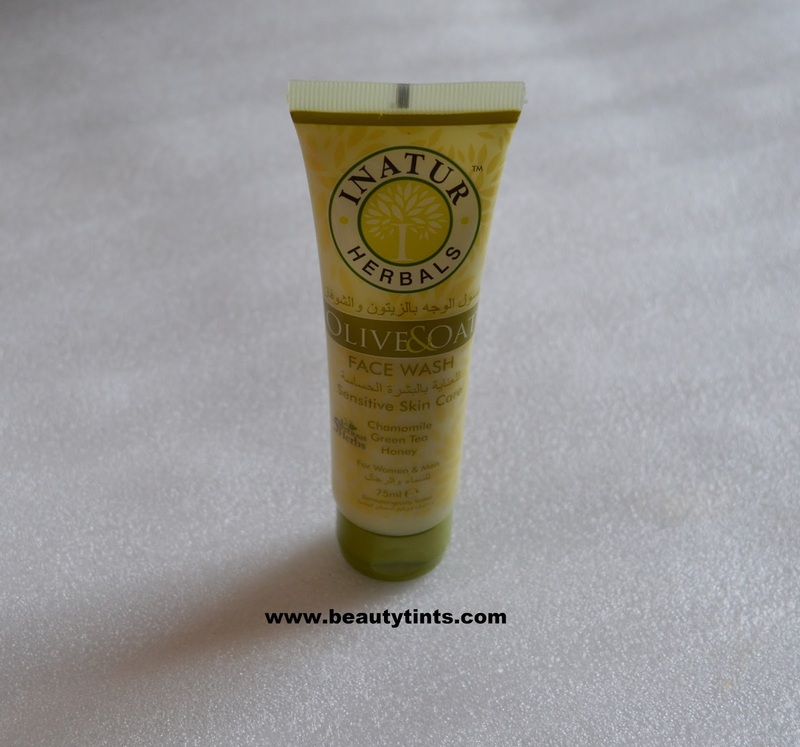 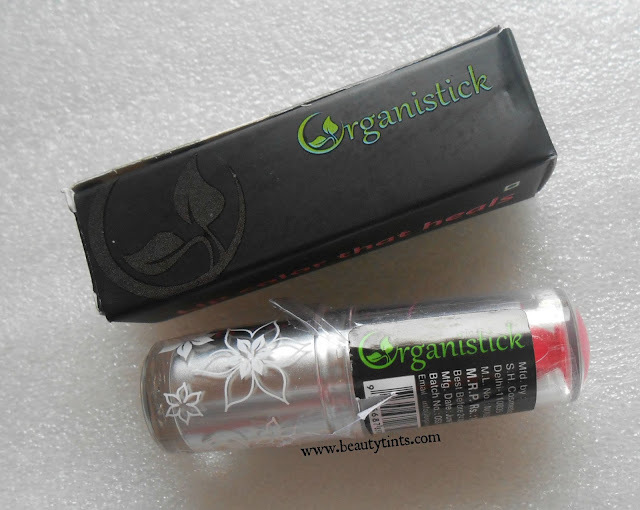 4)Organistick Lipstick : This is a 100% organic lipstick made frm natural ingredients and is chemical free.I was super excited when I first heard about it,but unfortunately I received a broken Lipstick.I have already contacted the customer care and hope I receive the replacement soon.I will update the post,once I receive the replacement.The one thing which I really appreciate about the MSM Box, is their prompt customer service!!! 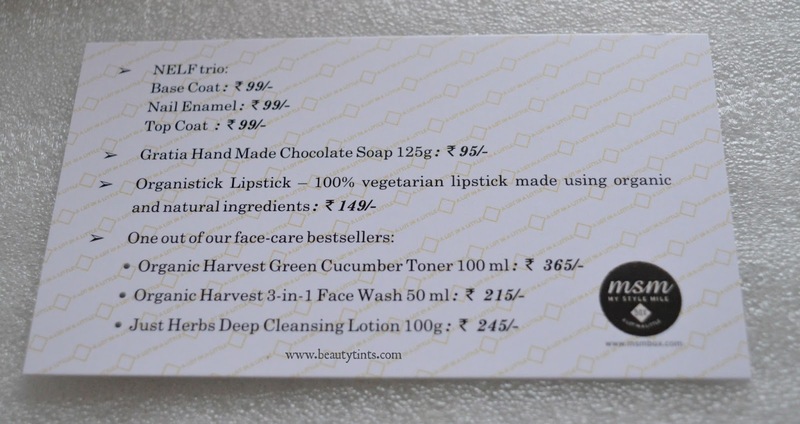 So,these are the products which I received in the August Edition MSM express Box. Final Thoughts : I really liked all the products from this month's box and happy that all are full sized ones and the price of this box is definitely more than value of the box.I will be much more happier,if I get the replacement quickly!My subscription ended this month and I am planning to take 6 months subscription this time! 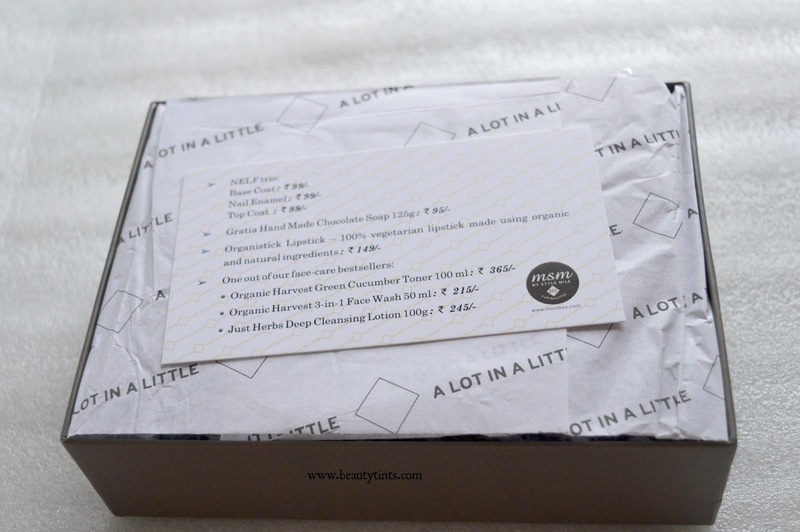 Let me know about your views about this August MSM box in the comment section below.